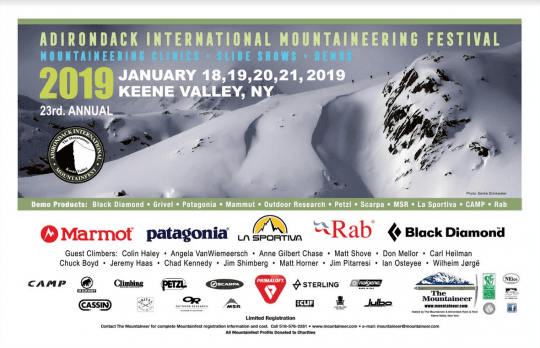 Mountainfest is an annual celebration of ice climbing and mountaineering featuring guest athletes with tales of climbing adventures, instructional clinics taught by visiting climbers and local guides, demo gear, raffles, happy hour, and yoga. » Continue Reading. High Peaks Cyclery of Lake Placid is sponsoring the second annual Adirondack Rock Climbing Rendezvous the weekend of September 28-30. The agenda includes climbing clinics, tours of local cliffs, slide shows, and music. Not to mention have some fun. » Continue Reading. Why would a climber want to visit something called Moss Cliff? Though the name conjures up some dank, low-angled slab wrapped in a living green carpet, the reality is quite different. This best of Adirondack cliffs is not so mossy. In fact, it’s among the cleanest, driest, most appealing rock walls in the Northeast — in my opinion, the most Adirondack of all Adirondack crags. The name probably comes from a misreading of the 1953 USGS topographical map that put the unflattering label on a dirty slab about a mile to the west of the clean and elegantly sculpted wall that we now call Moss Cliff. Moss Cliff isn’t hard to find. You’ve all seen it looming high above the Ausable River on the Sunrise Mountain shoulder of Whiteface. Zooming by at 55 mph, however, doesn’t give you the chance to pick out the climbers, the colorful little dots who have been playing out the evolution of climbing, out of sight, but in plain view if you ever stop to look. » Continue Reading. Mt. Colden’s Trap Dike is a well-known feature among hikers, climbers and geologists. It is not, however, the only trap dike in the High Peaks. Take notice and you’ll find smaller dikes crisscrossing most of the slides and treeless summits. Most of these are interesting and perhaps photogenic, but irrelevant to climbing. One of the best-kept backcountry secrets is a large vertical trap dike capped with a diagonal car-sized capstone on Mt. Marcy. 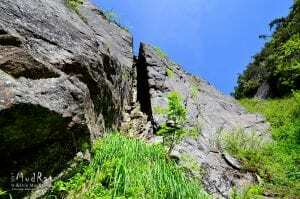 It lies in a northeastern facing cliff deep in Panther Gorge and looks like a pencil-thin shadow from the summit of Mt. Haystack. This is Marcy’s Great Chimney. » Continue Reading. 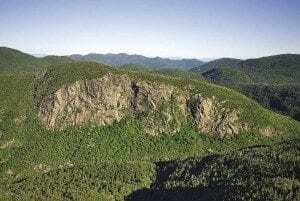 In the history of mountain climbing in New England, the first ascent of Mt. Washington happened in 1642 with Darby Field as the climber. Over the years, however, there has been great speculation as to the route that Field took to the summit. 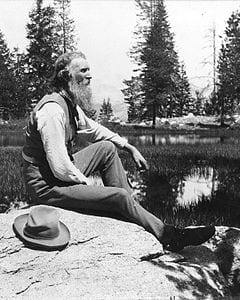 Most early speculation assumed that his main goal was to climb the mountain, and that he then took the most direct route as he came in from the Maine coast. That route would have taken him up the Cutler River and then up the southeast side of Mt. Washington, the Northeast’s tallest mountain. 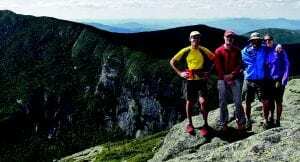 This is the side with Pinkham Notch and Tuckermans Ravine. For many years, this was the “conventional wisdom” regarding this ascent. 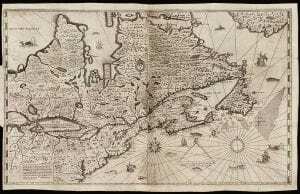 Then, as referenced in the article below, an ancient letter surfaced that indicated Field had taken an entirely different route to the summit. This different route, as described in the Watermans’ Forest and Crag (1989), included going over several other summits and passing by what are now known as “Lakes of the Clouds.” With this new evidence, the Watermans could clear up much of the earlier speculation regarding Field’s route, but they still admitted that they did not know why Field climbed Mt. Washington. » Continue Reading. Maurice Isserman’s Continental Divide: A History of American Mountaineering is a scholarly work that covers the exploits of mountaineers in the United States and Canada from colonial days to 1963, the year that an American team reached the top of Everest. Everest is a world away from the northeastern United States, the starting point of Isserman’s book. 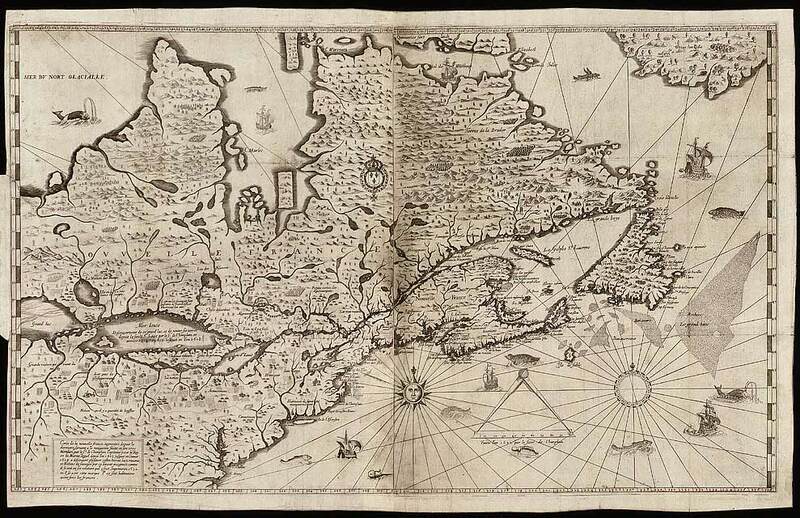 In 1642, Darby Field, a resident of what is now New Hampshire, climbed White Hill, known by local Indians as Agiocochook and by moderns as Mount Washington, the highest mountain in New England. Four and a half hours after our 4:30 am departure from the Garden trailhead in Keene Valley, my two climbing partners and I dropped our packs and looked around. We were surrounded by cliffs: free-standing pillars, tiered walls, slabby slides, and vertical stone faces, some more than three hundred feet high. There were caves, hidden talus fields, and giant fins of rock. Vertical cracks abounded. 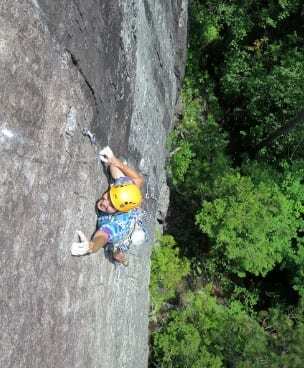 I gaped in wonderment at one of the most remote and beautiful rock-climbing destinations in the Adirondacks. » Continue Reading. 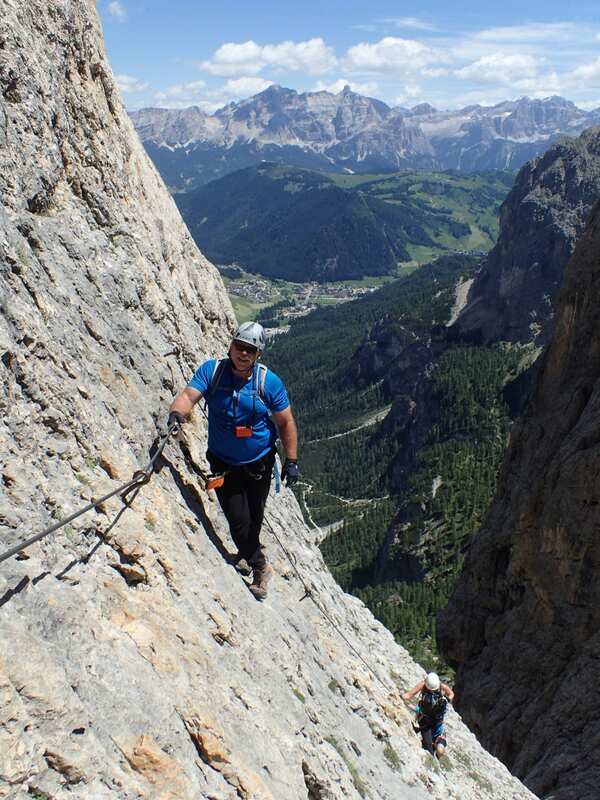 The Dolomites in northern Italy are mountains, but they’re not like the Adirondacks. For one thing, they’re a lot bigger. The tallest mountain, Marmolada, rises to nearly 11,000 feet, more than twice as high as Mount Marcy. They’re also more civilized than the Adirondacks. By civilized, I mean developed. In the Adirondacks, we prohibit cabins on the Forest Preserve. In the Dolomites, you’ll find lodges, known as rifugios, on many of the mountains. In the Adirondacks, there are only two ski resorts on the Forest Preserve, on Whiteface and Gore. In the Dolomites there are ski resorts all over, with chairlifts and gondolas running in summer (for sightseeing) as well as winter. Carol says I come up with my best trip ideas at the breakfast table. Since this was the last day of her Adirondack vacation, I felt the pressure to suggest something special. She likes to swim, I like to rock climb, and we both like to bike and hike. If I could combine all four of those activities, I might win her affection for all eternity. It’d be worth a shot, anyway. » Continue Reading. 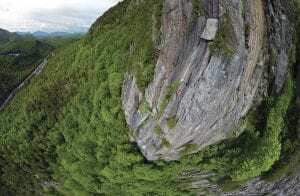 A rock climber was flown to a Vermont hospital after suffering severe injuries in a 60-foot fall from a cliff on Pitchoff Mountain on Monday afternoon. 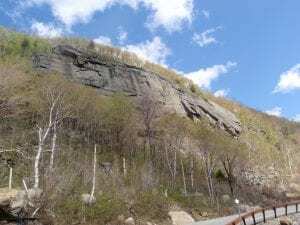 State Police identified the victim as Kyle R. Ciarletta, 22, of Eagleville, PA.
Ciarletta fell after climbing a difficult route known as Roaches on the Wall, said David Winchell, a spokesman for the state Department of Environmental Conservation. Winchell attributed the accident to miscommunication between Ciarletta and his belayer, a 23-year-old woman from Norristown, PA.
Years ago I often saw a line of cars parked along McKenzie Pond Road outside Saranac Lake and wondered why they were there. There was no trailhead, no house, just nondescript woods. Eventually, I learned that those woods harbored a collection of giant boulders and that people would drive for hours to climb them. 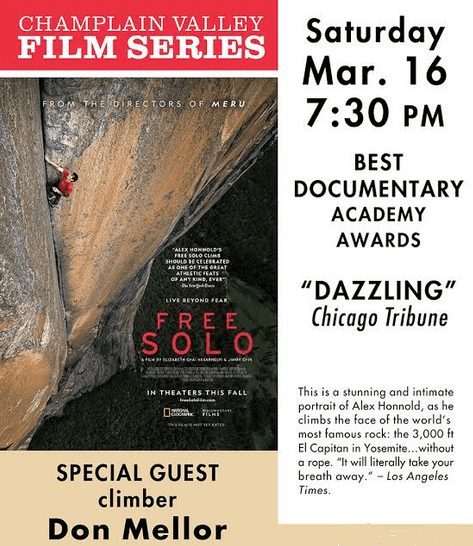 Not just any people, but hard-core climbers willing to abrade their fingertips on tiny crimps, strain their biceps on overhanging rock, and curse the sky as they labored up routes that often are less than ten feet long. That is, boulderers. » Continue Reading. 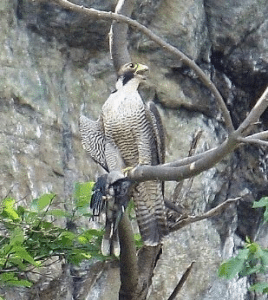 The New York State Department of Environmental Conservation has issued their annual report on peregrine falcon nest monitoring in the Eastern Adirondacks and Lake Champlain region. DEC wildlife staff and volunteers monitored 26 peregrine falcon nesting during the 2015 breeding season, according to the report. They confirmed 16 of the 26 sites were occupied by territorial pairs of falcons and all but one of those pairs actively undertook nesting. Of the 15 confirmed active nesting pairs, nine successfully produced a total of 18 chicks. This equates to 1.2 young/breeding pair and 2 young/successful pair – an average level of production for this region. 2015 was slightly more productive then the last few breeding seasons. » Continue Reading. Each year hundreds of people hike to the summit of Rooster Comb for its great views. 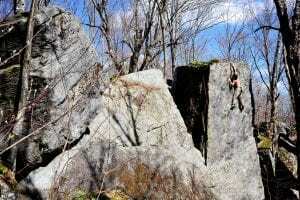 Far fewer reach the summit by scaling its cliffs, but the mountain has a long and storied rock-climbing history. 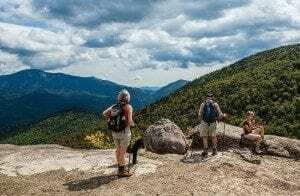 Whether you hike or climb to the top, the 2,788-foot peak offers a wonderful vista of the lower Great Range, the Brothers, and Johns Brook valley. 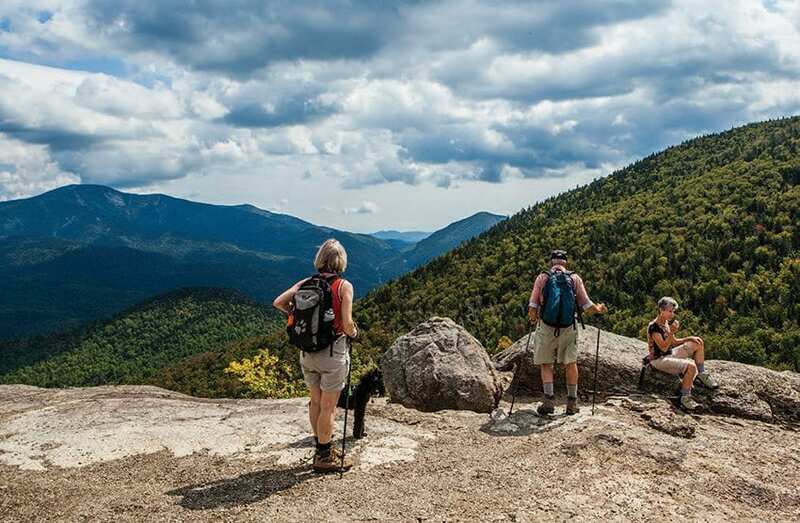 Rooster Comb is one the trips chosen for the Adirondack Explorer’s new guidebook, 12 Short Hikes Near Keene Valley. Since I planned to hike Rooster Comb for the book, I figured I’d squeeze in a rock climb as well. My neighbor, Tim Peartree, agreed to come along. » Continue Reading. On August 17, a climber fell 60 to 80 feet on the second pitch of Diagonal, the most popular route on the 700-foot-tall cliff. A state police helicopter, 12 forest rangers, and two volunteer climbers responded to emergency—and they were assisted by two other climbers who happened to be on the same route. » Continue Reading.